HTC has dropped yet another teaser on Twitter ahead of its September 20th event. Though it would be nice, we're not expecting to see the rumored Pixel handsets at this particular gathering, but rather a couple of additions to the company's Desire range. 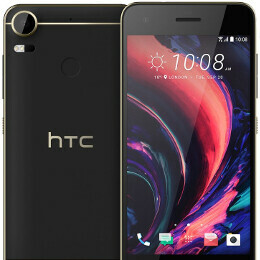 The HTC Desire 10 Pro is set to be the major talking point, with leaked specs having outlined a 5.1-inch, 1440 x 2560 display and Qualcomm's Snapdragon 820 with 4 GB RAM. There's also expected to be a 12-megapixel main camera along with a 5-megapixel selfie shooter, 32 GB of storage and Android 6.0.1 Marshmallow on board. If true, the Desire 10 Pro will essentially match the firm's flagship HTC 10 in the power stakes. Meanwhile, the Taiwanese outfit could also drop the Desire 10 Lifestyle with a decidedly more modest list of features. Set to be positioned as a stylish, affordable device, AnTuTu benchmarks have indicated a 5-inch,720 x 1280 display along with a Snapdragon 400 processor, 2 gigs of RAM and 32 GB storage. Again, it'll probably have Android 6.0.1 Marshmallow on board upon launch, though it's likely that Android 7.0 Nougat won't be too far behind in both cases. Of course, we'd love to see the purported Nexus 5X and Nexus 6P successors on September 20th. HTC has reportedly been tasked with the job of building this year's Google-branded smartphones, which look set to drop the Nexus branding in favor of the 'Pixel' moniker. Whatever the name, it's usually Google that does the announcing regardless of which company does the making, so we're not holding our breath for Pixel or Pixel XL making an appearance at next week's HTC event. HTC Desire 10 Pro FTW. My daughter will love this. daughter? That's very nice and generous of you. How old are you, if I may ask...just curious. And you thought people over forty years of age use wired phones only, lol! Gradually we are getting idea about whole family of Trojan_horse. Yesterday he revealed that he was married. Today ha has a daughter. Nougat should come loaded out of the box as there working with google for the new pixel phones. I hope it will be waterproof. Lol. 5 - 5.2 too small now? I guess we'll call them compact sizes sooner or later. Times are changing. If this doesn't explode with use and allows me to use my many sets of headphones without adapters and charge while using them, I'm very interested. It'd be nice to see HTC come back. I agree, I'd like to see HTC make a comeback too. The new Nexus/Pixel phones could give them some positive publicity just like Huawei received last year. What went wrong with the HTC 10? It was a great phone but didn't sell well? When have you heard of an HTC phone exploding? We tried a Desire 626 due to its attractive low price. Unfortunately, it came with unattractive low performance. I figured it'd be a little slow, but it was just way too laggy for a non gamer. We ended up going with something else. Just beware that HTC budget phones are far from zippy. They probably meant a 400 series SD. Not necessarily the SD400 proper. They've done that in a few other articles. Btw, has no one noticed that the fingerprint scanner is placed under the screen? Why Google never officially reveal the OEM partner for pixel series ? Irony is that every year people know who is going to manufacture next pixel . Fancy teaser but I bet they will miss crucial parts. Like having a good camera. They were so close with the HTC 10. If they got the camera right. I would of bought that phone outright regardless of price. In the android scene its always HTC and Sony that make weird business decisions. They release phones that perform so bad and with features that most people expect from flagship phones of today. HTC and Sony make the best looking Android phones but stuff up key components like camera performance.